It’s prime time for trout fishing in the greater Mt Shasta and Mt Lassen area. After spending a week filming along the Highway 89 corridor we were able to get a good handle on how each system was fishing. We fished roughly a dozen waters in the region and found success in every system except one. 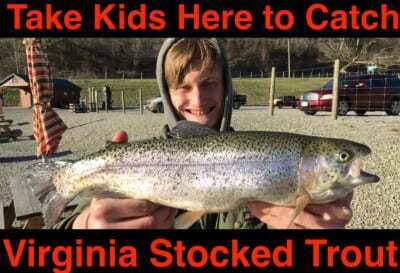 Fortunately, the California Department of Fish & Wildlife will continue stocking trout through summer. The pattern should continue. Here’s the scoop on how we did. We targeted the public access areas in Dunsmuir (downstream of the no bait section) and caught and released more than a dozen trout in two hours. Most of the trout were fresh stockers. However, we did catch a few of the trophy trout that were planted by the Dunsmuir Chamber of Commerce. Their trophy program has more than enhanced fishing here. It’s brought a new level of excitement. We caught most of the fish on Silver Label and Pink Shrimp salmon eggs, Chartreuse Anise Fire Balls and Peach Garlic Fire Bait. Trout were holding in deeper pools and behind large boulders. Two weeks ago when we fished the McCloud River action has painfully slow. We arrived at 6pm and talked to several anglers (who knew what they were doing) who caught two trout all day. We caught two stockers in two hours and a bunch of smaller wild fish, but a lack of trout plants and heavy pressure gutted the stocked area quickly. Fortunately, the river is on the stocking list this week and next, which means action should be good directly above and below Lower McCloud Falls. Expect heavy holiday fishing pressure. Our trout came on eggs. Lakin Dam is often overlooked by anglers and it isn’t for everyone as access can be challenging in many spots. However, the first and last light bite can be exceptional for brook trout. We found brookies up to 14 inches although most were closer to seven-to-eight inches. Because of the slow current we drifted Chartreuse Anise salmon eggs and Red Fire Balls under a bobber and caught a decent number of brooks once the sun stopped shining on the water. The key will be fishing the last hour of light – or the first. Look for rising trout. It will be obvious where they are. As always, Hat Creek has plenty of trout and high flows that are challenging for many anglers to content with. The creek will continue to receive weekly trout plants and many large trout. We didn’t catch a pile of trout, but did manage roughly 10 per day in the two days we fished it and caught rainbows up to five pounds and brooks to three pounds. Our goal wasn’t numbers, rather quality. We focused on targeting bridges, deep holes and undercut banks. Our largest trout came on Coho Fire Balls. That fish wouldn’t eat real Pautzke eggs, but did grab the Fire Ball. Ironically, the smaller trout didn’t want the Fire Balls the two evenings we fished, but they hammered Chartreuse Garlic and Silver Label salmon eggs. Historically, we’d had always done well walking away from the campgrounds and bridges and focusing on areas that didn’t receive as much pressure. Meanwhile, it seemed almost all the trout we caught were near the road or in a picnic area (we didn’t fish any of the campgrounds due to crowds). The bite was epic at Baum late in the evening near the inlet. By epic, I’m talking about hooking trout on every cast for the last hour of the day. While most of the trout were 10-13 inches, we did catch one about 16 inches. All of the trout we caught were rainbows and came drifting Silver Label and Garlic Salmon Egg and Peach Garlic Fire Bait in or on the edge of the current line. Weekly trout plants and a huge inventory of trout will keep this bite steady. The bite was no short of epic when we filmed with Jeff Goodwin of Jeff Goodwin Guide Service. We fished in the morning and evening and couldn’t keep the trout off our lines even in the sweltering heat. Trout are closer to settling into their summer pattern, but continue to migrate toward doing so. A majority of the trout are in the main body now. Action is best 30-100 feet deep with Natural Fire Brine herring tipped on artificial squid, whole Natural Fire Brine herring and Blue & Chartreuse Fire Brine shad being the top baits. We caught a few two-pound trout, but most averaged three-to-five pounds. The Blue Fire Brine shad even took three browns, including a six-pound fish the day we filmed. Whiskeytown has been a challenge for most anglers this year. Hopefully, the bite improves soon, but we opted not to spend much time here given poor reports from anglers and even those from a recent major kokanee tournament. The good news is the kokanee that were being caught are large, but numbers remain poor so far this season. We’ll be keeping tabs on the fishery. Fish & Wildlife has done a great job stocking Hatchet Creek this season. 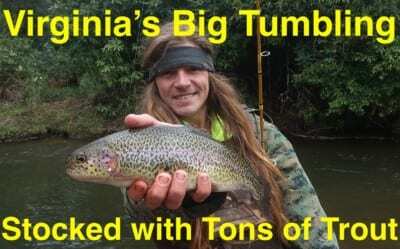 We caught and released more than two-dozen trout while filming here. As we were leaving a father and daughter showed up to fish and we gave them all our bait. Orange Deluxe salmon eggs worked best with Chartreuse Fire Balls producing when bright sun hit the water. Success will come to anglers fishing the two holes above the bridge and one hole below it. There’s not a ton of places to fish, but plenty of 10-12 inch rainbows in this small section. It’s been more than a decade since I had fished Upper Burney Creek. If I recall the last time was with Steve Vaughn of Vaughn’s Sporting Goods. The creek and access has changed, but locals still know the way. The powerhouse was loaded – and I mean loaded with trout due to heavy plants by Fish and Wildlife. There were nice brooks and rainbows. We filmed an entire episode here in two hours and caught and released dozens, literally. There were a few trout scattered from the bridge to the powerhouse, but most of them were in the pool adjacent to the powerhouse. Peach Garlic Fire Bait, Orange Deluxe and Silver Label caught the most trout. The biggest surprise of the week was the number of trout in Burney Creek in the town of Burney. We saw lots of locals and out of towners fishing several different sections of the creek that are stocked. Basically, every place that yields public access and most bridges are planted. 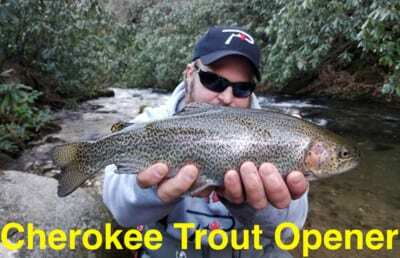 Recently there were many quality brook and rainbow trout in the stream. We caught and released both species to three pounds on Garlic Wildfire, Chartreuse Garlic and Garlic Salmon Egg Fire Bait and Silver Label. We trolled for four hours in attempt to catch landlocked Chinook. However, didn’t get bit. We saw four other boats doing the same thing and didn’t see anyone else get bit either. Surface temperature was still cold for this time of year. There’s a good chance the bite improves as water temperatures rise and a thermocline is established, which should be happening any day. We surveyed the all tackle section of the Pit River and found muddy water with little visibility. Water was still running at traditional spring levels, but will be backing off as summer progresses. We only had time to fish for roughly an hour and caught and released a pile of small rainbows on Gold Label salmon eggs at the base of the powerhouse. Action should improve as flows diminish and the water clears. This was the most frustrating spot of our trip. We drove here from Burney to film an episode of Pautzke Outdoors showing parents how to catch trout in a stream with their kids. Because of the large pool below the culvert here it’s an ideal spot for kids. Meanwhile, after 15 minutes we left. We caught a trout on every cast, but they were so small it wasn’t worth a video. These stockers were six-to-eight inches, which is too small even for a put-and-take stream. The trout grabbed Gold Label and Fire Balls as quick as they hit the water. 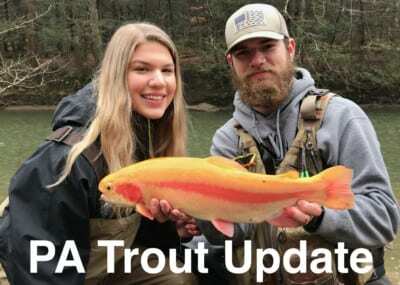 Editor’s Note: For update trout stocking info please visit https://nrm.dfg.ca.gov/FishPlants.